Online entrepreneurs would unanimously agree that traffic spikes are commonplace occurrences particularly during holiday seasons. Traffic surge is also observed during sales promotion campaigns such as black Friday and clearance sales. One must have a concrete plan to exploit holiday season by preparing ecommerce site to face challenges of spikes to mitigate downtime or slow page loading issues. Onslaught of vacation traffic can compromise online availability of your ecommerce store if you have failed to take necessary precautions. 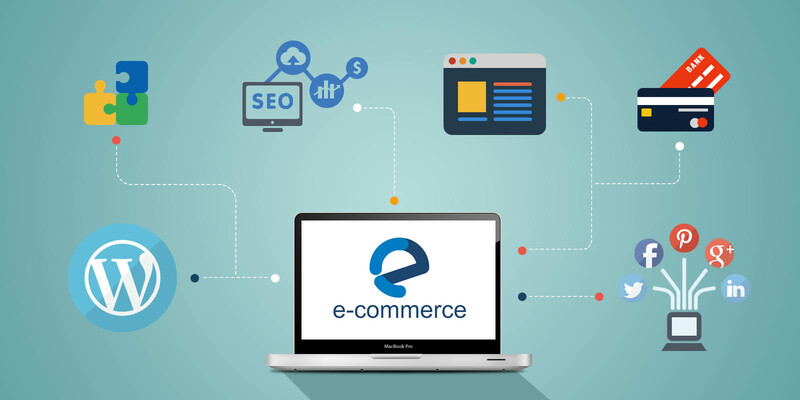 The primary task for making sure that the traffic surge does not affect performance of your online store is to contact your Ecommerce hosting service provider and make sure that your website is backed by optimum resources. If your website happens to operate in a multi tenant environment of shared hosting, then you need to take necessary precautions. It is the age of smart phones and other hand held devices. The recent survey confirms that more and more online shoppers are using their smart phones for transacting their purchases than desktops. For the first time, the number of shoppers that access ecommerce stores by using smart phones has crossed the number of people using traditional desktops. The trend is going to accelerate further. This calls for immediate steps to optimize your site for smart phones. Failure to do so is sure to cause loss of customers who prefer to shop on while on the move. Nothing can replace graceful graphics and rich images if you wish to add a touch of elegance to your site. There is need to resize these images for making sure that these are displayed properly on mobile screens. Larger images not only take more time to load but can also cause spilling out effect while using mobile for browsing. You can also try jpegmini.com or compressor.io for effective and user friendly resizing of images. It is a good idea to use unique fonts for flaunting your individual style, but such flaunts can make reading the content excruciatingly painful. It is always good to keep use of such unique fonts to a bare minimum. Standard fonts are to be given preference for posting content. It also ensures a better browsing experience. Availability of custom fonts in the cache can be confirmed by using cookies. Online shoppers pay a great attention to security of ecommerce sites by checking for presence of https letters in green color. SSL encryption can go a long way for establishing secure image of your ecommerce venture. Online shoppers feel confidence of using online payment gateways if the ecommerce store is secured by SSL certification. Social forums offer an excellent opportunity to drive relevant traffic to your ecommerce shop by posting announcements, blogs, and other type of content not only on all types of social channels but also on the home page of your website. Among all social sites Facebook offers maximum potential for improving visitor count to your online enterprise. Customers prefer online shops that define their return policy in no uncertain terms. Design a loud and clear message regarding return of sold merchandise to offer confidence to your online customers that they will not be left high and dry if they are not satisfied with the product purchased from you. Keywords play vital role in attracting potential clients to your ecommerce store. You can easily identify relevant keywords by accessing Google Adwords that facilitate keyword planning. You can enrich your blogs by using these keywords. Use of keywords in Alt Text, headings, and product descriptions help drive more traffic to your ecommerce store. Strong keywords that have been used during past can also prove to be a good resource. Customer expectations in terms of easy return policies, faster deliveries, user friendly payment options will always have to be respected. These factors play important role in establishing a customer friendly image of your venture. The proper image will support you for a long time to come. You need to provide clear information by designing intuitive FAQ format and also by providing a customer care number to address grievances. These actions convey a string message to customers. You need to appreciate that your customers are justified to expect good service from you in terms of faster delivery, clear and upfront return policies, store pickup, intuitive payment options, and so forth. By providing these facilities you can expect repeat purchases and better footfall during as well as the vacation period is over.